Good cubicle bedding for the cow at a low cost price: that is good for the farmer and for the cow. You can produce your own cubicle bedding using a slurry separator. Veenhuis offers a range of slurry separators consisting of electrically driven screw presses with various features. 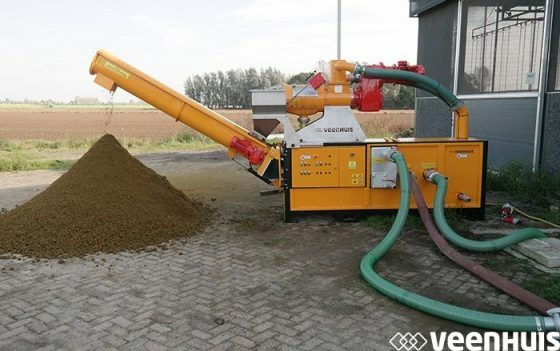 Veenhuis can supply an appropriate slurry separator model for every application. Veenhuis slurry separators are characterised by their high capacity, simple maintenance and low wear and tear.